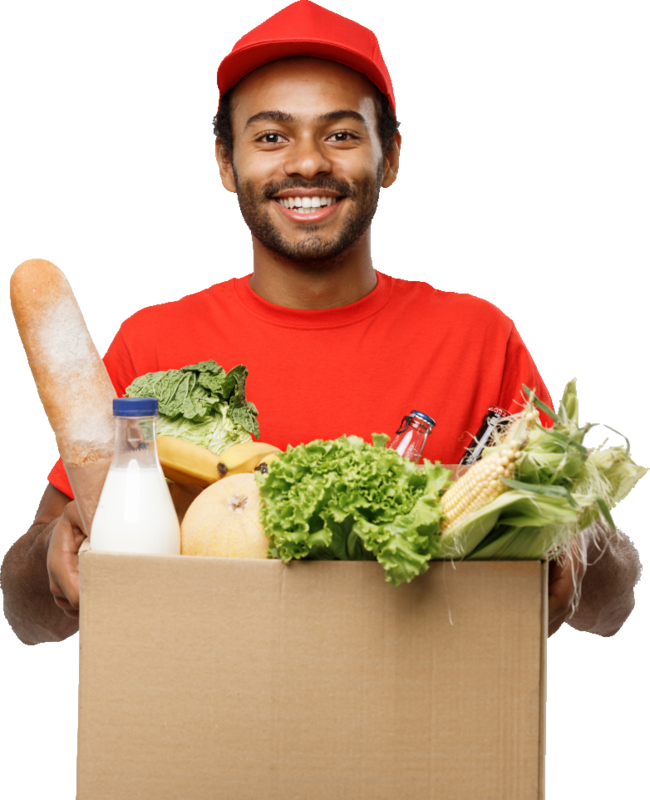 Discover how we can partner with your office to make sure that you have fresh food delivered, hassle-free. We are a company that cares for the health and well-being of our South African workforce. We create more health conscious workspaces through the supply of the essentials every employee and workspace needs. Our enthusiasm for promoting a healthy workforce drives us to deliver convenient office supplies such as snacks, groceries, kitchen & bathroom supplies and more. In just a few easy, simple steps - you can make sure that your business enjoys fresh groceries to ensure optimum efficiency for all team members. We take the time to gather all the dietary preferences and requirements your office needs. We use this, along with your budget and other useful information, to deliver packages that satisfy your team and organisation. We have made the process of placing orders as easy as possible. You place and schedule your orders, we manage and deliver your package straight to your organisation! It's that simple. Our deliveries can be made on a weekly, bi-weekly, or on an as-needed basis. A member of our SmartSentials team will deliver your groceries to your office or desired location. Providing healthy and nutritious food and snacks in the workplace is beneficial for both the organisation and the people who are a part of it. Employers are always looking for ways to attract great people into their organisation, improve morale and increase retention. When employees are happy, they are more productive. Which is why providing snacks and throughout the day is beneficial for everyone. Workdays can be quite busy and providing food and snacks in the office can energise your employees throughout their day. This is especially convenient for those long nights and meetings. Having snacks ensures that your team is focused and alert. Providing healthy food options for your team is a great way of showing that you care about their well-being. Studies indicate that the creation of a healthy work environment contributes to healthier lifestyle habits, even outside the office. We go out of our way to ensure customer satisfaction and maintain the best relationship with clients through direct follow ups and communication. We take the hassle out of shopping. You can expect the best prices as we maximise servings per rand. We guarantee superior service that you and your team will appreciate. We prioritize quality by making sure we provide our clients with the best. We offer a superior and dedicated service that your team will love. "I've always been wary about shopping, grocery shopping that is. Just the thought of being around sometimes hundreds of people pushing around trolleys that seem to veer left without any assistance from the person steering, makes me cringe. The amount of anxiety that rises in me every moment i need to put the change back in my purse while the teller is looking at me as if to say "sheshisa!, you're holding up the line!" is only topped by days when I'm not sure if my bank card has enough on it for some month end essentials. Oh no. I hadn't quite tried an online grocery shopping experience when i first came across Smartsentials. They changed my entire view of how a shopping experience should look and feel. Smartsentials online grocery store you say? When you think about it, fewer things make more sense than an online store for grocery essentials. One no longer as to plan entire days to go do ones shopping, small office orders can be handled with a few clicks, less time spent in shops so less unnecessary spending on chips and sweets...for people like me (anxious and impulsive) this is obviously a life changing innovation that is and will be utilised to its full extent!"